I think many would agree when I say that brunch is one of life's greatest pleasures. The ability to eat delicious breakfast foods at a later time in the day makes weekend mornings a little more special. Perhaps you order Belgian waffles with berries and extra whipped cream, or maybe you prefer a savory omelette with veggies and bacon. Whatever the case, there's a brunch food for everyone and as of late especially, brunching seems to be the "it" activity to enjoy with friends or family on weekend mornings. In honor of our favorite meal of the week, a bunch of my blogger buddies and I decided to pay homage by sharing our favorite brunch locations in our cities, as well as our ideal brunching outfit! 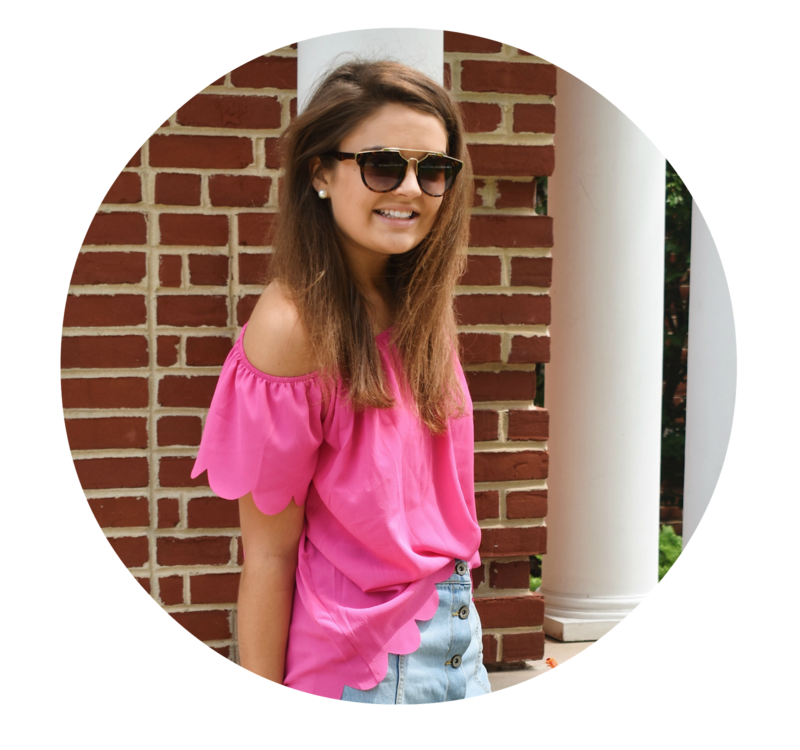 Be sure to check the end of this post for all of the links to my friends' blogs to see their brunch spots and ensembles as well! For my outfit, I always like to keep it comfortable and light for brunch, especially if I know we'll be eating outside. This halter top is the perfect thing because a) it's adorned with tassels and b) it hides any sort of carb-overload food baby that you may be familiar with if you love pancakes like myself :) I keep my jewelry bright and fun - I'm especially loving my new KJP Yacht Knot rope bracelet! Of course, you can't forget your favorite pair of sunnies if you'll be dining under the sun, so my Clubmasters are always a must as well. Now onto my favorite brunch location! The Original Pancake House on Downer in Milwaukee is actually fairly new to me - I had heard people rave about it for so long but it wasn't until recently that I actually tried it out myself. Let me tell you, it did not disappoint. I ordered the most delicious strawberry pancakes with whipped cream and a side of fresh fruit, which ended up being the perfect combination. We ate outside surrounded by gorgeous cream city brick, wood panels and bold orange chairs with a gorgeous view of the street. The lighting was sadly not ideal for photos of my food itself, but trust me when I say it's one of the best brunch spots in town! If you're not familiar with Milwaukee, Downer Avenue is the cutest street full of amazing restaurants, shops and homes on the East Side. It's a really trendy and fun place to hang out because it has awesome coffee shops to study in in the winter and delicious outdoor restaurants to eat at in the summer. If you're ever visiting, I highly recommend you check it out! Be sure to check out my friends' posts with their brunch spots and outfits too! The original pancake house is so delicious! My friend in Washington, D.C. always raves about it and she took me one time when I visited! I had no idea they were all over the country! Your outfit is so cute- I think I need that tassel top! Oh my goodness, this outfit is so cute! I love brunch so much, this was such a cute collab idea! Such a fun post idea, I love your outfit!